A Serb dies suddenly- and at the worst time possible time - during an important war crimes trial at The Hague. Does that sound familiar? The death of Dusan Dunjic, a forensic pathologist who was found dead in his room in the Crown Plaza Hotel just hours before he was due to testify as a key defense witness in the trial of the Bosnian Serb Ratko Mladic - unsurprisingly led some to think back to the sudden death of the former Serb President and President of Yugoslavia, Slobodan Milosevic in 2006. Although an autopsy found that Dunjic- whose body was found by a member of the hotel staff and a representative of the Hague tribunal died of natural causes, it has been reported that the deceased’s family in Serbia, and family doctors don’t believe the ’natural causes’ explanation- with friends pointing out the 65-year-old was ‘as fit as a fiddle‘. There were also conflicting reports about where Dunjic’s body was found- one had him on a chair in his room, the other lying on the floor. Certainly the timing of Dunjic’s death is disastrous for Mladic- who is charged with genocide, war crimes and crimes against humanity. Anyone concerned with justice, and making sure that all the evidence is gone through as thoroughly as possible when such serious crimes are being discussed, should regret the forensic pathologist’s absence from the court room. Now if two Serbs die sudden and untimely deaths at The Hague/Scheveningen, we could put it down to coincidence. People die - and being on trial for war crimes or even testifying in such trials - is a stressful experience. The trouble is we’re not just talking about Dunjic and Milosevic. There have been a number of strange deaths of Serbs involved with war crimes trials at The Hague, and they have tended to come at extremely convenient moments for the prosecution side. Some would say there‘s simply been too many dead bodies now to explain them all away as ‘coincidences‘. Just imagine, as Nina Byzantina pointed out in a Twitter message, if this had all happened in Russia. At trials in which the Russian state had desperately wanted a conviction. Then I’m sure the sudden deaths of people, at key moments of the trial, would be blamed on government forces. But these are Serbs dying under mysterious circumstances in Western Europe, in a NATO member state, so of course there can be no question of foul play! Or at least, that is what we are encouraged to think. I’d argue that at the very least we ought to be keeping an open mind, and not ruling out the possibility that some dark forces have been at work here, at least for some of the cases. After all, the stakes are very high, and NATO needs Serbs, the official ’Bad Guys’ for defying Western hegemonic ambitions in the Balkans in the 1990s, to be found guilty. But what happens when the evidence just isn‘t there? Below is a commissioned article I wrote for a leading British newspaper over ten years ago in which I closely examined the (seemingly) sensational claims that Slobodan Milosevic was being slowly murdered in The Hague. The piece was not published. Perhaps the newspaper thought that the claims would be dismissed as ‘conspiracy theory’- or they were worried of official comeback. I don’t know. But it makes for an interesting read now, knowing that Milosevic did indeed die while held captive, and with doubts being raised over the death of the latest Serb not to leave The Hague alive. 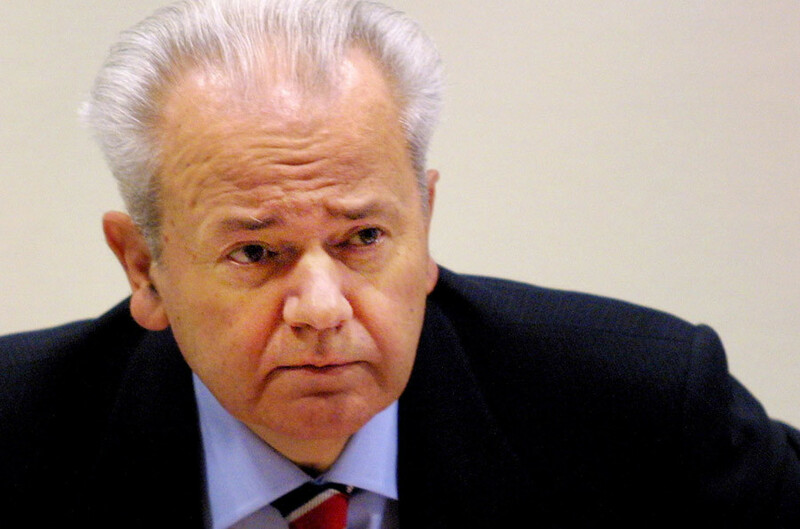 Is Milosevic being slowly murdered at The Hague? Slobodan Milosevic is being slowly murdered at The Hague. So claims Sloboda, or ‘Freedom,’ the Serbian pressure group at the forefront of the international campaign for the release of the former Yugoslav President. Many will dismiss their allegations as the paranoid fantasies of conspiracy theorists. Others will believe it is all part of a plot engineered from his prison cell by Milosevic himself, anxious to evade charges of genocide, war crimes and crimes against humanity. I am not so sure. 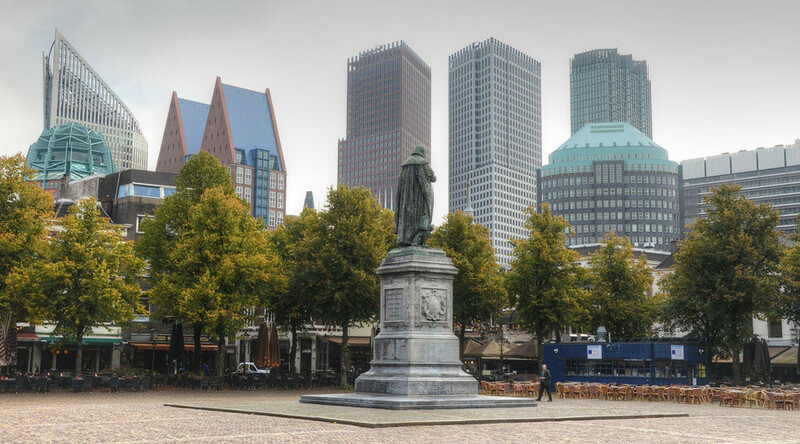 A closer examination of recent events at The Hague reveals that the claims may not be as outlandish as they first appear. But the brutal truth is that up to now, Del Ponte's team of prosecutors have failed to produce a single shred of convincing evidence linking Milosevic to the crimes he is accused of. 'Star' witness Ratomir Tanic was exposed as being in the pay of Western security forces, whilst ex-Yugoslav secret police chief Rade Markovic, the man who was finally going to spill the beans on Milosevic and reveal how his former master had ordered the expulsion of ethnic Albanians from Kosovo, in fact did the opposite and testified that he had been tortured to tell lies and that his written statement had been falsified by the prosecution. Milosevic, in carrying out his own defense, has, as even his enemies concede, been brilliant in rebutting the charges against him and in cross-examining witnesses. His demeanor in court has shattered the traditional Western image of him as a crazed, comic book tyrant: the 'Butcher of the Balkans' of popular mythology. Milosevic has also made some highly damaging revelations in court about the extent to which Western security forces collaborated with groups in the Balkans linked to Al-Qaeda. He has quoted the testimony of J.T. Caruso, the assistant director of the FBI counter-terrorism division who confirmed that Osama bin Laden's organization had supported 'Islamic fighters' in Bosnia and Kosovo. He has revealed how CIA money was diverted via Geneva, to fund the operations of these 'Islamic fighters' in the Balkans and how SAS units set up training camps in Northern Albania to train the terrorists of the Kosovan Liberation Army to shoot Yugoslav state officials. The authorities at The Hague appear to have a major dilemma. Clearly a guilty verdict against Milosevic on the basis of the 'evidence' so far would be such a blatant miscarriage of justice that everyone who has been following the trial would see it as a politically motivated verdict. Yet acquitting Milosevic and allowing him to return home to Serbia a hero and able to rebuild his political power base would be a disastrous outcome for those politicians in the West, like Tony Blair, who are happy to pin the blame on ‘Slobo’ for all the bloodshed in the Balkans this past decade. Milosevic's death in custody would clearly solve a few problems. In his defense, Milosevic plans to call over 1,500 witness, including Bill Clinton (who brokered the Dayton Agreement with the Serb leader in 1995), President Chirac of France and Britain's Lord Owen in an attempt to reveal the full extent of the West's involvement in the break-up of Yugoslavia. For many powerful figures in the West, the sooner Milosevic can be removed from the court room, the better. There is no doubting that Milosevic's health has seriously deteriorated during his time at The Hague. The demands of the trial, plus the enforced separation from his wife and family have had a damaging effect on the physical well-being of a 62 year old prisoner confined to a 9ft by 15ft cell. But despite suffering from high blood pressure and complaining of fatigue, it was only in July 2002 that the Tribunal finally permitted doctors, albeit non-specialists, to examine Milosevic. The doctors' medical report described Milosevic as “a man with severe cardiovascular risk which demands future monitoring.” The recommendation was that the patient's workload be reduced and he be given more opportunity for rest. The Tribunal did not carry out the doctors' advice. Instead they did exactly the opposite. Milosevic's workload was not reduced, but increased, with an extra three hours being added to the trial each day. Lunch break for the ex-President of Yugoslavia was sitting in a basement with only a sandwich for nourishment. Arriving back to jail so late in the evening, he was given a choice of either a dinner or a walk in the fresh air, but not both. Instead of being given the vegetarian-centered diet recommended for heart patients, he was fed low quality, greasy food. The window in his cell was hermetically sealed, depriving him of fresh air. As if all this were not damning enough, a Dutch newspaper, NRC Handelsblad revealed that during this period, Milosevic was actually being given the wrong drugs for his medical condition. Drugs which, instead of reducing his blood pressure, in fact caused it to rise very quickly. This astonishing revelation, which went almost unreported in the British media, was subsequently confirmed by sources within the jail. The Tribunal though refused to discuss the issue on grounds that it was “about the privacy of the defendant.” It is very difficult to escape the conclusion that the authorities at The Hague were deliberately trying to give Milosevic a heart attack. They very nearly succeeded. Having brushed off the concerns about Milosevic's health from an independent team of German physicians, Judge Carlo Jorde, the President of the Tribunal stated, in a letter to the Freedom Foundation of Belgrade, that Milosevic was receiving “close medical attention of a high quality from the medical staff of the UN Detention Centre.” But what actually does Mr. Jorde mean by “close medical attention of high quality”? The truth is, not very much. At The Hague “close medical attention” amounts to a weekly visit of a prison doctor and a daily visit of a nurse who brings the pill (but as we know not necessarily the right one). The nurse incidentally doesn't come at weekends. In 2003, albeit belatedly, Milosevic’s trial burden was lessened, with the number of weekly sessions reduced. But to counter balance this, the volume of material produced by the prosecution has increased from the already existing 500,000 pages of A4 by another 400,000, all of which Milosevic was expected to deal with in the three months he was given to prepare for his defense. This would be a Herculean and stressful task for a young man in the prime of health, let alone a sexagenarian with a serious heart condition. Not surprisingly, with the workload placed upon him, Milosevic’s condition continues to worsen. Last week, Milosevic’s illness caused the start of his defense to be postponed, until the 16th July. If Milosevic were to die at The Hague, as seems increasingly probable, he will not be the first Serb inmate to do so in suspicious circumstances. Five years ago, there was the 'unfortunate' suicide of Slavko Dokmanovic. Dokmanovic died just a week before he was due to be sentenced and had every reason to be optimistic of an acquittal, so weak had been the prosecution's case. 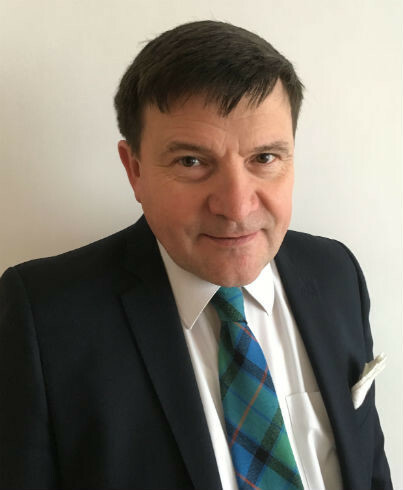 The Hague Tribunal have to this day not satisfactorily explained why a man who they later said had been on 'suicide watch' had been left in his cell with a tie and manual razor. Sure enough, Kovacevic, like Dokmanovic, died shortly before he was to receive his sentence. Despite complaining about stomach pains and in his agony wailing so loudly that all the other inmates could hear him, Kovacevic remained unattended in his cell for a full five hours before the prison guards eventually arrived to find his corpse. No doubt Kovacevic, like Milosevic had been assured of the “close medical attention of the highest quality” by the tribunal. There are those who will no doubt question whether it matters if The Hague authorities are deliberately trying to kill Milosevic: that he is a man who does not deserve too much of our sympathy. But they are missing the point. Terrible crimes were committed in the Balkans over the last decade, and it is only right that these crimes should be thoroughly investigated and those responsible, of whatever nationality, should be held accountable. However, all men are innocent until proven guilty, and Slobodan Milosevic is no exception. Tony Blair described the war against Yugoslavia as a war for “civilized values”. If trying to kill a prisoner in custody because you lack evidence to convict him and it is politically inexpedient to release him is an example of “civilized values,” then surely we are all in trouble. Slobodan Milosevic was found dead in his cell at The Hague at 9am on the morning of March 11, 2006. The ICTY had recently refused a request for Milosevic to go to Russia to have specialist medical treatment for his heart condition. An autopsy took place, but it was carried out without the presence of the independent medical team sent by the Milosevic family. Neither were Russian doctors allowed access to Milosevic’s body and tissue samples. Could Milosevic have been murdered through the administration of rifampicin? The answer is an emphatic Yes. In an article on Milosevic’s death in the London Times, British doctor and former MP, Thomas Stuttaford OBE, described the use of rifampicin as “a cunning way to kill a man which needs no expertise,” and explained how the drug could have been used to negate the effects of the medication Milosevic was taking for his heart condition. “In this case, rifampicin was apparently used to block the pathway for heart medication… You don't have to be terribly skilled to establish which drugs interfere with others. They are listed in a reference book called Martindale's and any would-be poisoner could have looked up the pharmacology of the drugs that Milosevic was being prescribed and discovered those that used the same pathways.” Stuttaford wrote. Less than 72 hours before he died, Milosevic had written a letter to the Ministry of Foreign Affairs of the Russian Federation, in which he expressed his fears that he was being poisoned. "I think that the persistence, with which the medical treatment in Russia was denied, in the first place is motivated by the fear that through careful examination it would be discovered, that there were active, willful steps taken, to destroy my health, throughout the proceedings of the trial, which could not be hidden from Russian specialists. In order to verify my allegations, I'm presenting you a simple example which you can find in the attachment. This document, which I received on March 7, shows that on January 12th (i.e. two months ago), an extremely strong drug was found in my blood, which is used, as they themselves say, for the treatment of tuberculosis and leprosy, although I never used any kind of antibiotic during this five years that I'm in their prison. Throughout this whole period, neither have I had any kind of infectious illness (apart from flu). Also the fact that doctors needed two months (to report to me), can't have any other explanation than we are facing manipulation. In any case, those who foist on me a drug against leprosy surely can't treat my illness; likewise those from which I defended my country in times of war and who have an interest to silence me." The full text of Milosevic’s letter can be read here. The death of the former President of Yugoslavia was not the only one at the Scheveningen detention center that week. Only six days earlier, on March 5th, another Serb, Milan Babic, was found dead in his cell. "The Dutch authorities were called immediately. After conducting an investigation, they confirmed that the cause of death was suicide," the tribunal said in a statement. But a tribunal spokesperson also admitted that there was no indication that Babic had been contemplating suicide. As yet another Serb dies suddenly at The Hague; it’s surely time for a full, independent inquiry into all of the suspicious deaths which have taken place in and around the ICTY. For if the ‘conspiracy theories’ are right, and people are being put to death there to serve certain political agendas, we have a right to know.